What was going on in the world when our house on a garden block was built? Jan 20: Julia Morgan, US architect and first female student & graduate of Ecole des Beaux-Arts, is born. May 10: Victoria Woodhull becomes the first woman nominated for President of the United States as a candidate of the Equal Rights Party with abolitionist Frederick Douglass as her running mate. Apparently, Woodhull was a “clairvoyant, spiritualist, advocate of free love, social reformer, newspaper publisher and the first female stockbroker.” She couldn’t vote and the party was not permitted on any ballot. May 22: U.S. President Ulysses S. Grant signs the Amnesty Act of 1872 into law (which restored full civil rights to all but 500 Confederate sympathizers). 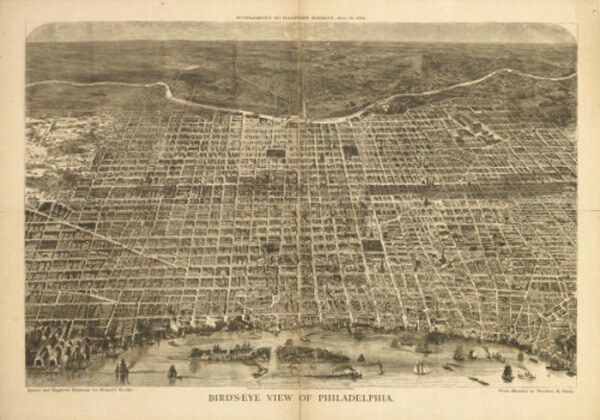 June 5: The Republican Convention was held at the Acadamy of Music in Philadelphia to endorse Grant as their candidate. November 05: In defiance of the law, Susan B. Anthony votes (for Grant), and is fined $100 in court (which she never paid). As a side note, her 190th birthday was this year and she lived on MADISON Street, Amherst, Mass. November 05: President Ulysses S. Grant was re-elected. He ran against Horace Greeley.